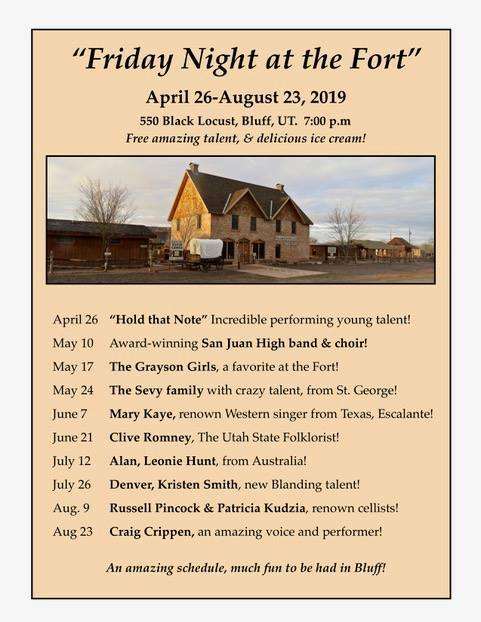 Bluff Fort Visitors Center is pleased to continue the Friday Night at the Fort performance series. The performances are free to the public and begin at 7:00 pm. It will be worthwhile to arrive a little early as seating is limited.